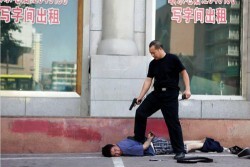 Chinese policeman kills an Uyghur man! 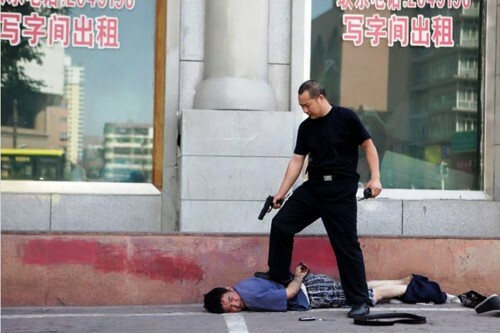 While a Chinese policeman was shooting a defenseless Uyghur victim man. This is the picture of "Uyghur Genocide"
after ı saw these photos ı hate chinese people. I will never forget those killings. don't buy chinese product.